Among the many training elements that recruits must endure, the greatest obstacle they all must face is one of immense endurance, pushing their physical and mental stamina well beyond anything most of them could have endured before the Marine Corps. This is the “The Crucible”. Everything they have suffered up to this point is needed to push themselves through this final training exercise. By enduring long hikes like this, recruits are trained to overcome pain and fatigue, and to learn how to endure the long haul missions requiring stamina, endurance, and fortitude, rather than the short burst of energy, bravado, and couragousness that are the stuff of movies. The Crucible, the last of these training evolutions in boot camp, consisting of a three day march totaling around 60 miles. Recruits sleep around four hours per night (if they don’t also have the unfortunate task of fire watch, which most will at some point). They have been functioning on perhaps two meals over the last three days, not to mention numerous stops to do obstacle course workouts, mock battle simulations, and carrying a huge amount of extra gear and equipment. The entire ordeal is also made all the worse by carrying massive packs with all the recruit’s gear and supplies. This isn’t to mention body armor. In total the recruit will be carrying around 70 extra pounds with him on this journey. 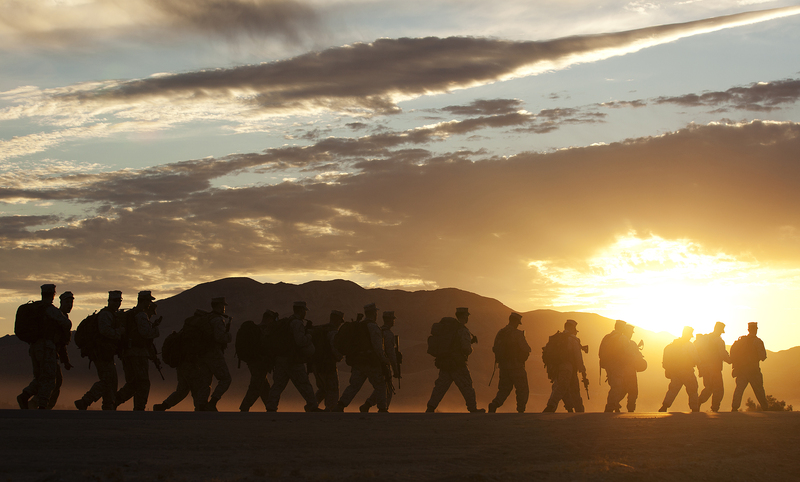 The Crucible ends with a climactic day-long final march up a mountain named “The Reaper”, and 10 miles downhill before returning to their barracks, completing the grueling exercise. The hike sets out before dawn. You’ve been awake for hours and with the first hint of sunlight, you are off on this final exercise. By this time the recruits have been in training for the last few months and are all physically in shape enough for the Crucible’s challenges. Even well rested, it would still be difficult. They, however, are exhausted beyond belief by the beginning of that third day. Given the ordeal of the last few days, the Crucible is an event that goes beyond physical strength. Mental toughness is what is being pushed here. All the mental trials and training, the pushing, and discipline of Drill Instructors were leading up to a point to test whether the recruit is ready to lead himself. It takes fortitude and a desire to not give up and to not lose face in front of the other recruits, as well as to lose what little respect you have from the Drill Instructors. There are moments throughout the climb, and even worse on the descent, where you wonder if you will be able to keep going. I for one learned that, even under these conditions, you can still run carrying all this equipment for more than a few hundred yards even while you’re sporting the worst cramp in your leg you’ve ever had. The pain doesn’t actually stop your body from working, you just keep moving and somehow the pain will go away just as fast as if you stopped and cried about it. This mental training is necessary as it will give them the strength to survive much harder and longer training once they reach the fleet, and missions that will test them physically and mentally. In the end, you’ll be making that hike alone. You might be surrounded, but when it comes to putting one foot in front of the other, you are utterly alone and dependent only on yourself to do it. It will really just be you battling against the constant desire to quit, to give up, or to find a way to escape. This makes you think. You think back on the workouts, the endless IT sessions, the sleepless nights, and all the things you have already overcome. Remembering what it was like with your face was in a sand pit, the last time you did one of these hikes, or the numerous times you’ve conquered the O-course, you’re reminded of your own capacity. Each of these were a reminder of the capabilities you have and are each a piece of providing efficacy towards your belief in your ability to complete today’s long march. Secondly, when you look around you, all the other recruits are still engaged in the task. It’s much harder to fail when others around you are still going, especially being that these are your friends and peers who you have grown close to and respect. What you don’t know, is that at the same time you are looking to them to keep going, many of them are struggling just as much, looking at you to stay strong, as well. Each of you has the same stone faced determination, which says to all the others, “I got this.” That man is no different than you. If he can do it, I can do it. I find it amazing that when two people who would likely fail a venture on their own, set out together, there is a mutual spirit that carries them to the end of the goal. Lastly, you learn to celebrate the little victories. You’ll say things like, “Just over that hill” and visually calculate the halfway point, picking some random rock in the middle, and then perhaps some other random rock between that. You focus on just that rock, getting closer and closer until you pass it. A little victory. The little victories add up and push you onward, until you see the barracks in the distance. Now you are counting down until you reach the place you’ve learned to think of as home, and now you have a big victory, one that you will drive you for the rest of your life. Some psychologists would call this compartmentalization, breaking large problems down into more manageable chunks, lessening the burden of fear and creating challenges, which one can be easily overcome on the way to actually impressive feats. These three skills, ones no one explicitly taught, which can’t honestly be taught, are part of the mental toughness which all Marines require to survive boot camp and the trials they will face later on in their military career – Looking back at obstacles already conquered as a reflection of your strength, looking to your peers for motivation, and compartmentalizing problems to be better able to handle them. These skills one learns through the osmosis of Boot Camp. They are skills Marines will use for the rest of their lives, but which can’t truly be ingrained in a person until they’ve experienced the process by which mental toughness is forged. 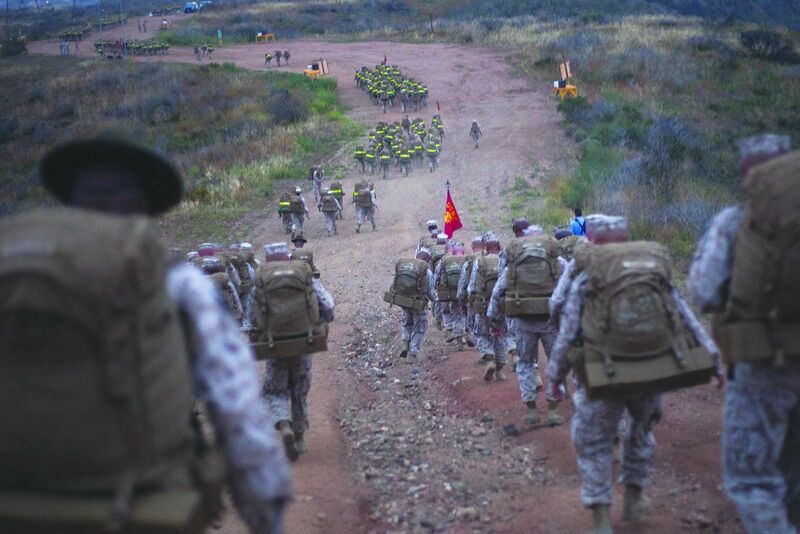 It will not be easy, but when they reach the top of the mountain, they will have completed the most important major obstacle and last right of passage to becoming a Marine. Continue to Why Boot Camp Won’t “Brainwash” Recruits. Read the Full Series. Make sure to share and follow JDT. Also please consider following the link below to visit my support page. ← They are Called “Drill” Instructors for a Reason.